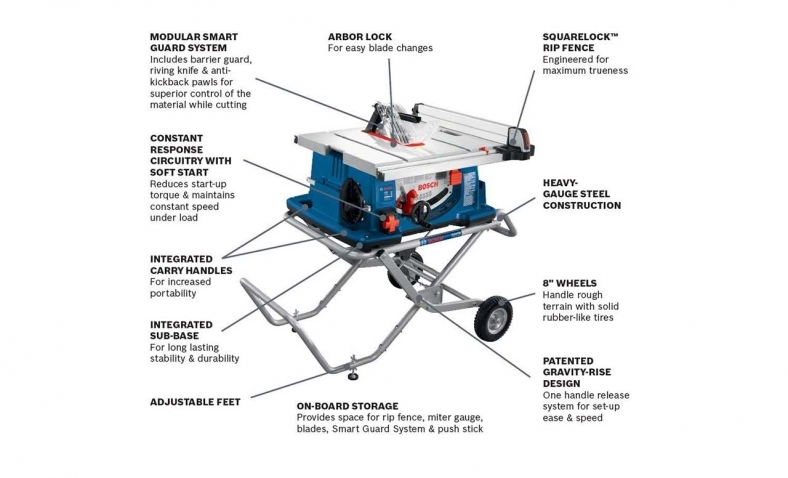 When looking for a table saw, the two most important features are the table and the motor. 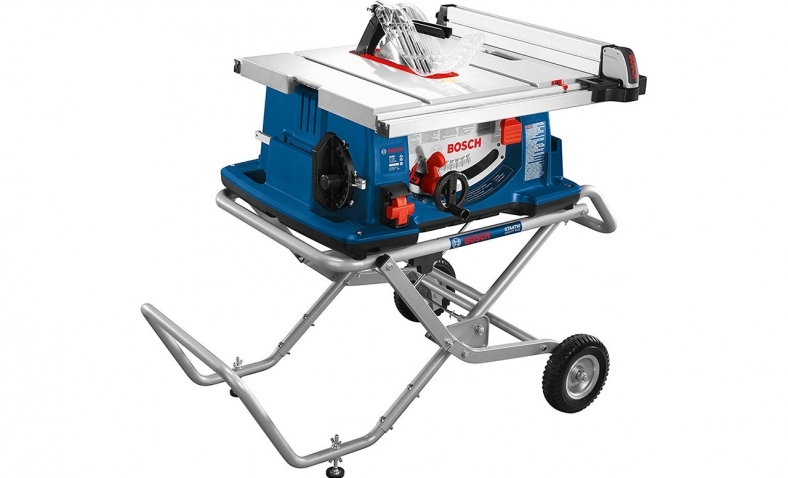 The Bosch 4100-10 has a good motor and a solid table. The saw is advertised as aligned right out of the box. For the most part, that is true. However, as with any saw, it is important to make sure everything is in alignment to be on the safe side. The saw I purchased was good to go without adjustments. The basic assembly of the saw was rather effortless and only requires a few tools to complete. The motor is a 15 amp unit delivering a max of 4HP to power through cuts. The motor is strong and quiet and should last a user quite a while. It also features a soft start to help prevent tripping circuit breakers. The table of the saw looks nice and the accuracy of tape appears to be spot on. The surface of the saw does seem to have a coating. To prevent the coating from damage, I would recommend using a floor paste wax to protect and lubricate the table to allow things to slide more easily. The fence also works really well. Once the indicator is set and the fence is set with the tape, the fence will stay square along the entire length. One of the best features of this saw is the stand. It is the easiest saw stand I have used. Just press the red lever and move forward to fold the stand and move backwards to open. No real lifting is required. 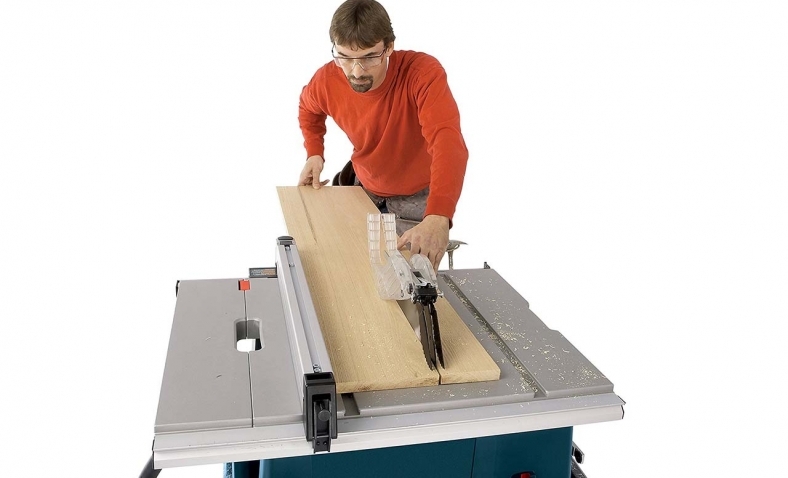 As with most table saws, the included blade is more for show than go. It’s a 24 tooth blade that can be used for rip cuts, not much else. It’s always good to buy the proper blade for the job you are doing. 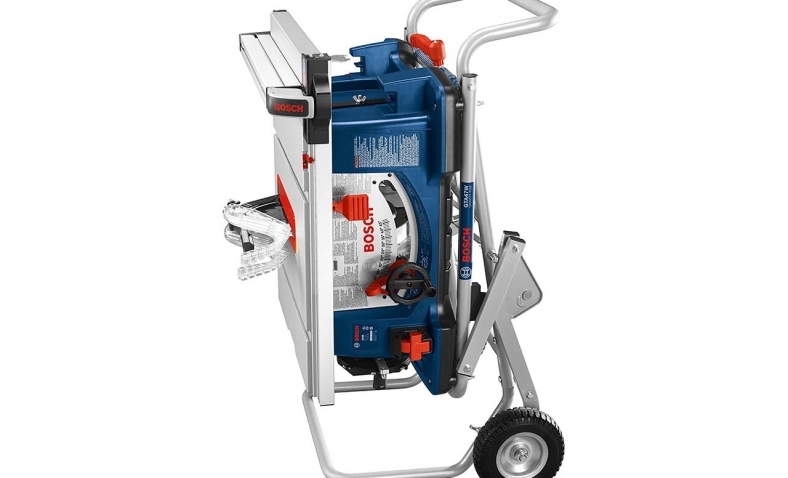 Overall, the Bosch 4100-10 is a strong package. It has plenty of nice features and the stand is a real treat if portability is a concern. Vivamus semper cursus libero, sed scelerisque est venenatis et. Aliquam commodo posuere. ToolZine is a site for the latest news, reviews and deals in the wonderful world of tools.